Property consultancy Knight Frank Malaysia said the local property market has held up rather well in the second half of 2018 (2H 2018) and more improvement is expected in 2019. In a press release on its Real Estate Highlights 2H 2018 report, the firm pointed out that pockets of opportunities can be discovered in different areas across regions including Klang Valley, Penang, Johor Bahru and Kota Kinabalu. “Despite uncertainties surrounding the nation’s first ever change in government, most international rating agencies continued to maintain Malaysia’s fiscal outlook, which will aid in bolstering confidence among foreign investors,” said the firm. On the Penang market, executive director of Knight Frank Penang, Tay Tam said the first phase of the Penang Transport Master Plan (PTMP) which comprises the Pan Island Link highway, the Bayan Lepas light rail transit (LRT) system as well as several major roads will proceed. “Meanwhile, the residential market will likely show some signs of improvement moving forward, without performance being anticipated in the landed housing market,” he said. Knight Frank Johor branch head Debbie Choy said amidst a challenging market, the industrial property sub-sector in Johor is still expected to fare well as investments in the logistics and manufacturing sector remains at a healthy level. “Also, landed houses with prices ranging from RM400,000 to RM500,000 are expected to fare well among home buyers,” she added. In Kota Kinabalu, there were fewer launches of residential properties as developers seek to review and reposition their products amidst a highly competitive market. According to Knight Frank Kota Kinabalu executive director Alexel Chan, although the residential sector is being plagued by rising supply, the continued growth of Sabah’s tourism and hospitality sector, coupled with the government’s commitment in delivering the Pan Borneo Highway are bright spots for Kota Kinabalu’s property market moving into 2019. Moving into 2019, Knight Frank Malaysia expects sentiments to improve barring unforeseen circumstances, especially in the residential property market as policies announced under Budget 2019 are expected to strengthen demand, particularly among first-time home buyers. Meanwhile, the industrial sector will continue its resilience due to favorable growth trajectory in key manufacturing industries. However, the office and retail markets are set to remain challenging due to elevated supply levels. 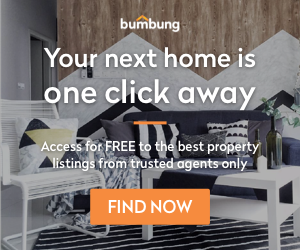 Looking for a property this 2019? You know where to go!